If you owned a multi-million dollar yacht, what would induce you to tie up and sleep at a seaside hotel? 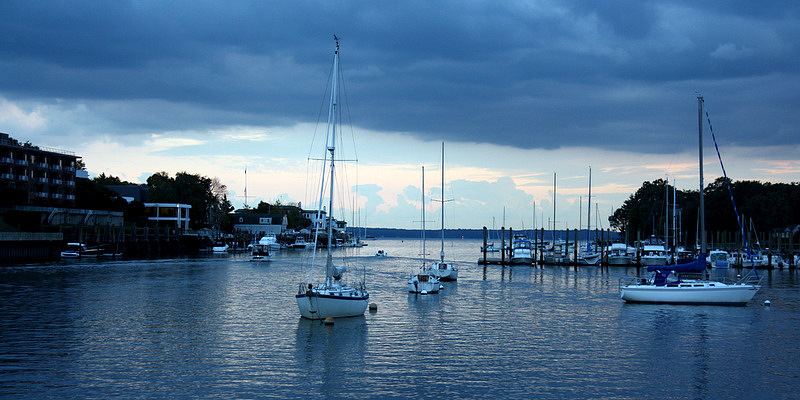 We found the answer when we visited the fabulous Delamar Greenwich Harbor Hotel located along the picturesque Connecticut shoreline of Long Island Sound. Entering the Delamar demesne, we parked our rental auto a scant few yards from the hotel’s 500-foot long pier – and near a large private yacht that provided shade for us – and about twenty other cars. An impeccably tailored bellman was waiting to assist us before we had a chance to unbuckle. He gave us a most gracious welcome and guided us to the front desk for registration. As we entered the hotel’s lobby, it was immediately and abundantly clear that the Delamar was fashioned by someone with an eye for elegance and a talent for artistic detail. 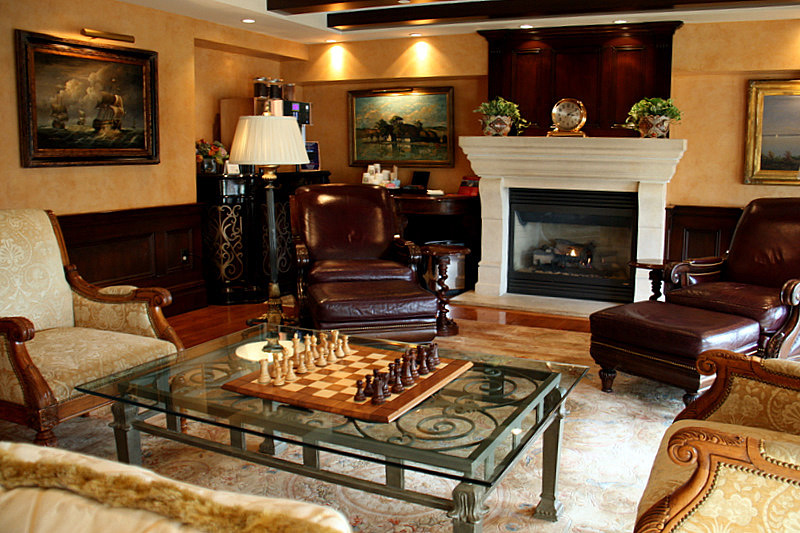 Obviously versatile, the hotel totally suits both romantic retreats and executive getaways. Any discerning boatman concerned about stepping away from ocean luxury would be impressed by the array of exquisite nautical oil paintings – contributed from a personal collection. Many of the paintings are hanging in a cozy library sitting room – complete with crackling fire and an antique ship’s clock smartly positioned on a lustrous white mantle. 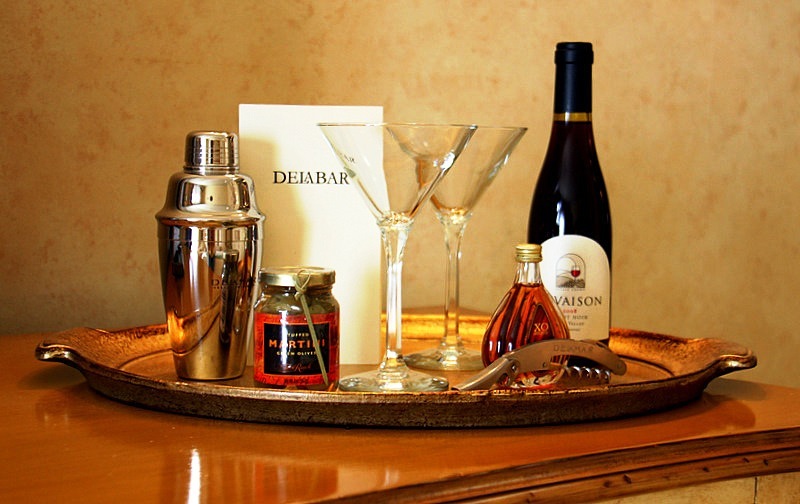 The Delamar is a small privately owned hotel. 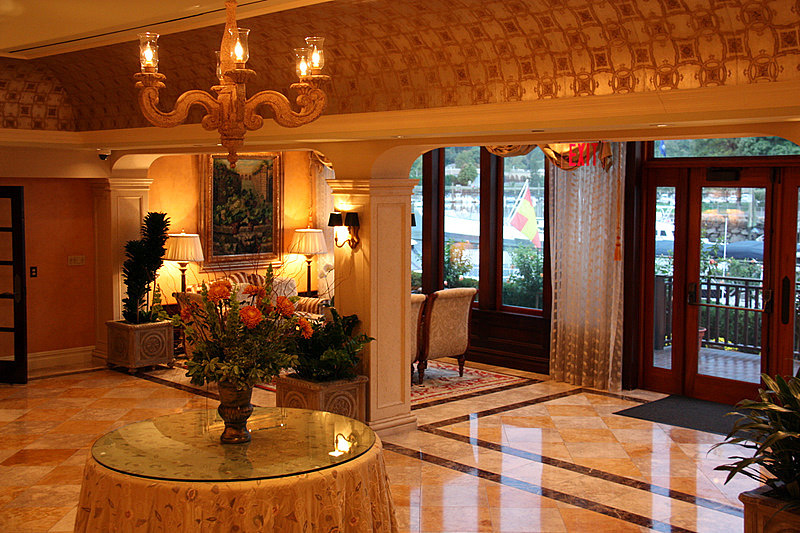 It opened in October 2002 with 74 guestrooms and 8 suites. Our room was on the Belvedere Floor, which is the concierge level. 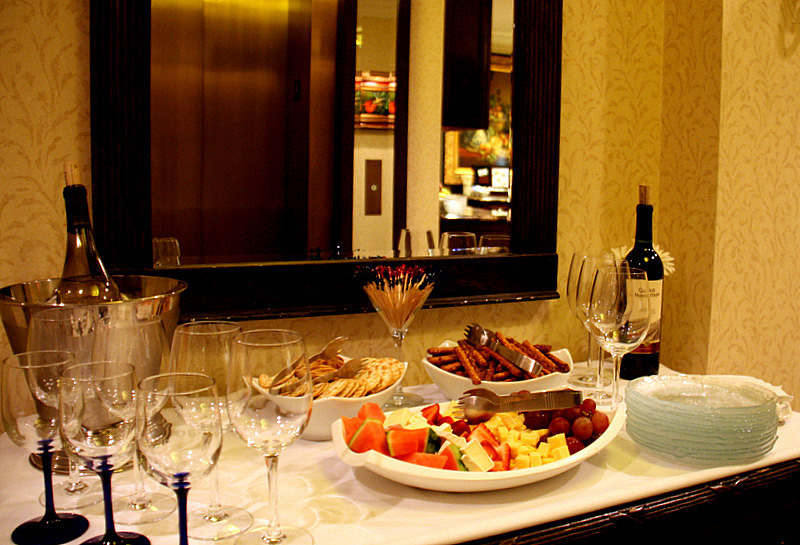 Guests on the concierge floor are treated to a complimentary breakfast, and late-day hors d oeuvres. That courtesy afforded us an opportunity to partake of a delightful glass of wine and some excellent cheeses before settling down to the task of deciding where to begin photographing this lovely boutique inn. One of the friendly staff was kind enough to give us a tour. 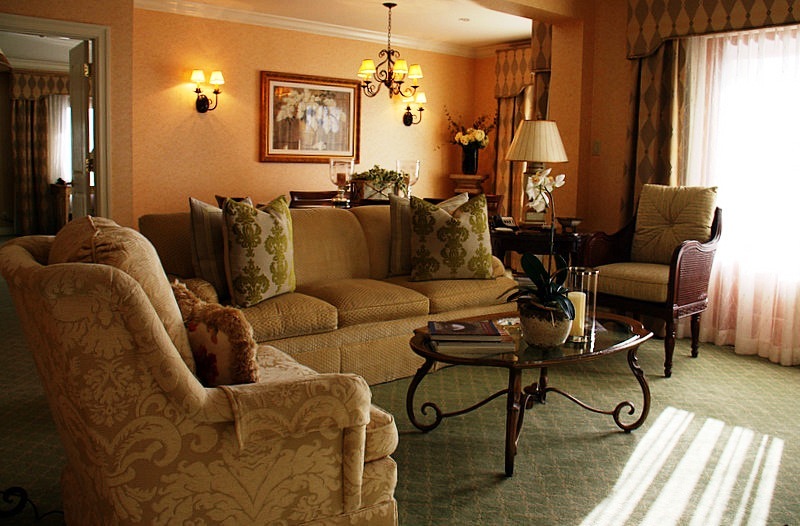 While we took pictures, she explained that all the guestrooms and suites at the Delamar are lavishly decorated with beautiful Mediterranean style furnishings. The custom interiors include wonderfully inviting beds, and sizable work desks with high-speed wire and wireless internet access. 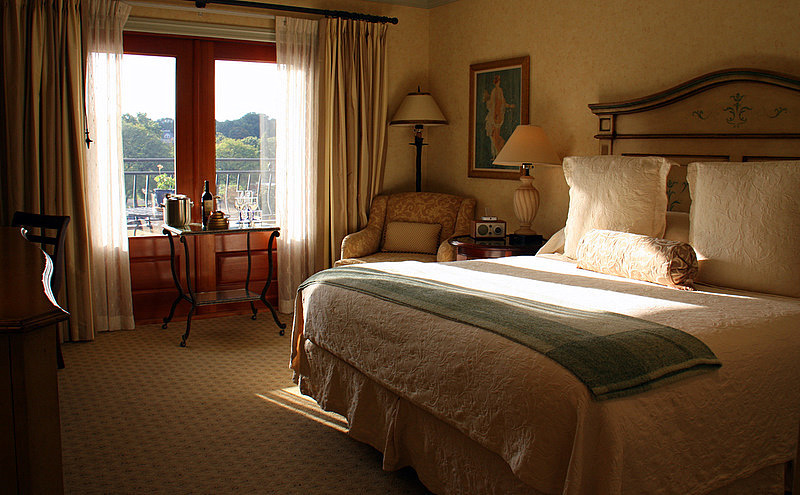 Other sleeping-room amenities include hand embroidered Italian linens, and down pillows and duvets. Rounding out the conveniences are mini-bars, flat screen TVs, and CD players. 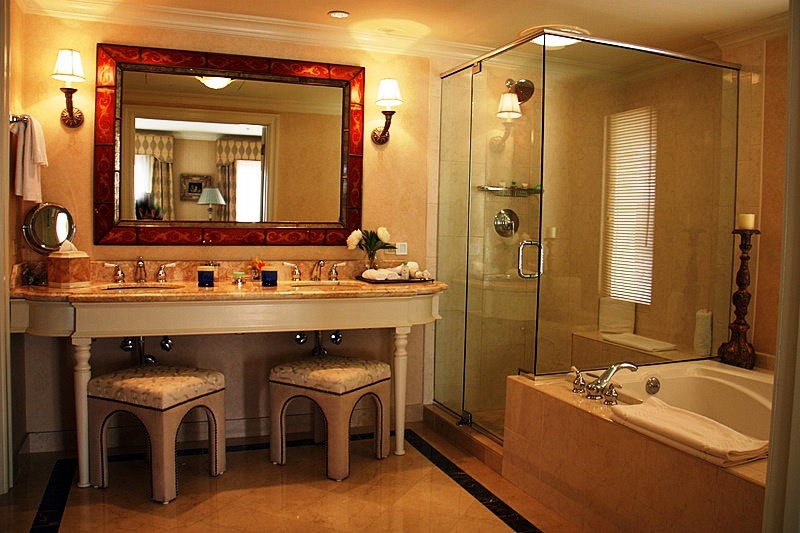 The bathrooms are equally enticing. 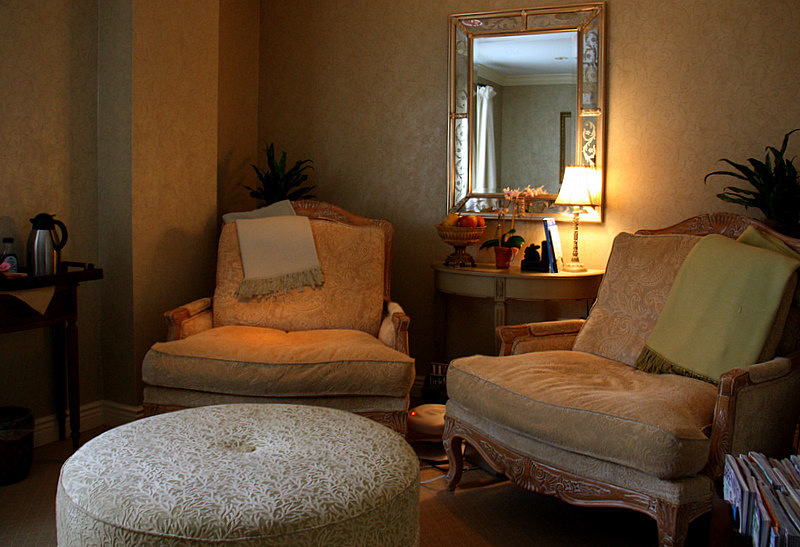 They are spacious, luxurious, and boast fluffy robes, and Elemis products. In a site so refined, one would expect to find a superb Spa – and indeed, it is there. Relax in a serene setting, and have your aches and pains soothed away by expert Swedish massage therapists or treat yourself to a rejuvenating facial, manicure/pedicure. In addition to the spa, guests may enjoy a complimentary and fully equipped Fitness Room that is open 24-hours per day for those wanting to continue their exercise regimen while away from home. When approaching the Delamar on Steamboat Road it would be hard to miss the large, but tasteful sign affixed to the hotel’s western wall. 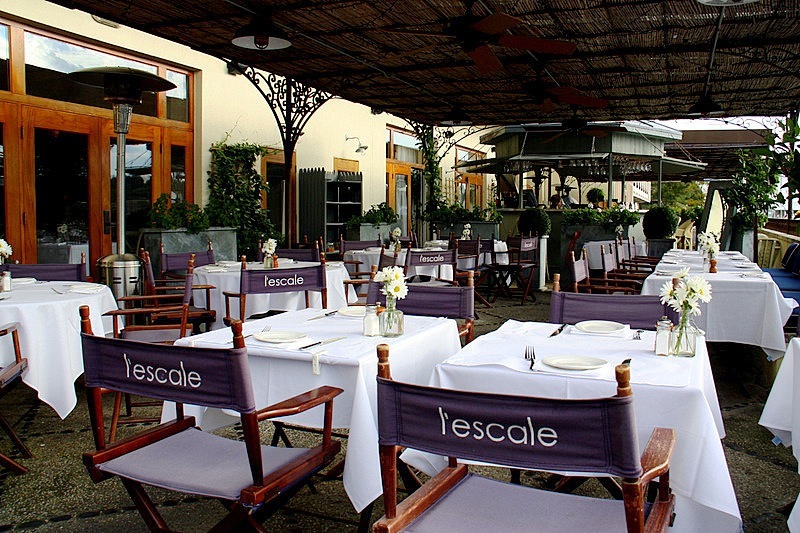 It announces that the famous l‘escale restaurant and bar is located here. The award winning l’escale restaurant is a top culinary destination for Fairfield County gastronomes – and rightly so. Chef Frederic Kieffer has designed an inventive Provençal menu that will transport guests to the Côte d’Azur with the highest-quality seafood, seasonal vegetables, and regional herbs and spices. 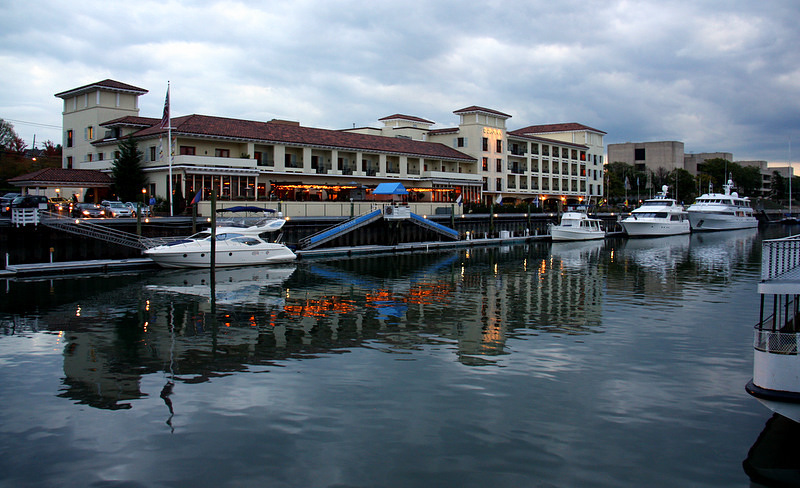 The restaurant’s dockside patio offers a spectacular area for al fresco dining in urbane comfort, and a unique venue for meetings. Note: Reservations are always advisable to avoid disappointment. 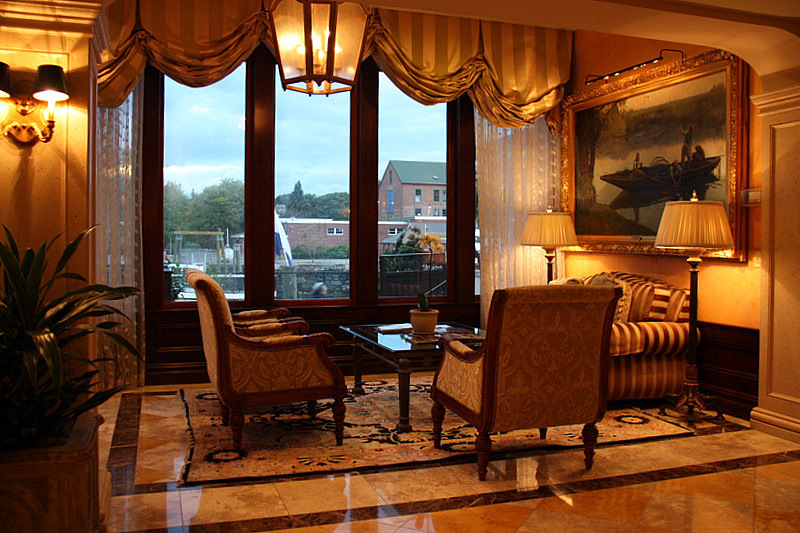 Along with the fabulous l’escale restaurant next door, there is little doubt that the harbor cuddling Delamar is the best luxury waterfront hotel in all of New England. It offers a multitude of reasons for any skipper to want to spend time away from even the most luxurious of yachts. 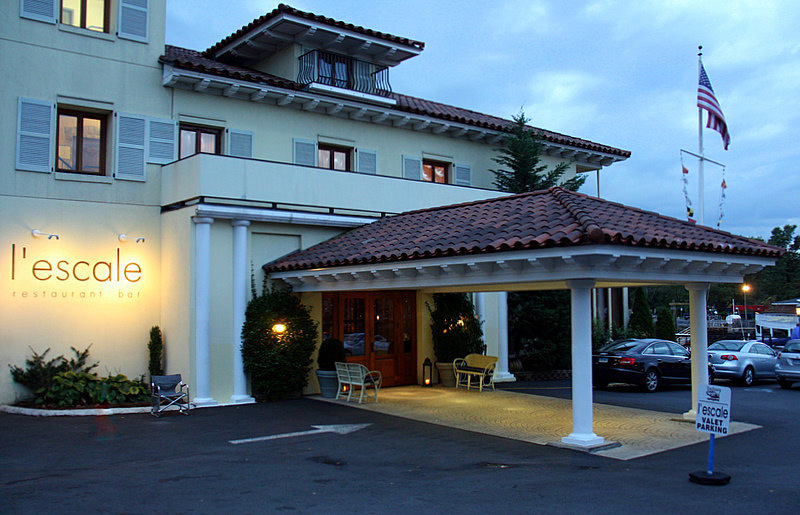 For charming ambiance and a taste of the finer things, the Delamar is simply the place to be in southern Connecticut. Convenient non-stop flights between San Francisco and New York City provided by Virgin America. www.virginamerica.com Click here to read our story about flying on Virgin America coast to coast. Visit This Historic Lookout in Hawaii: It Will Blow You Away!